​Our experienced and friendly staff are familiar with working with every type of dog and ensure a safe, fun, and clean environment. We love what we do here and your dog will too. Because we are a cage free facility, we conduct temperament tests as part of our screening process before dogs are admitted into daycare or overnight boarding. Please call to schedule an appointment today! It’s tough on you to leave your dog when you travel, but it doesn’t have to be tough on your dog.  At Camp Opie, we strive our best to provide a home away from home that focuses on their well being. The goal is to exert energy during the day and rest through the night. We achieve this by creating a nighttime environment where the pack energy is low. The facility is staffed 24 hours a day, 365 days a year. We offer basic bath services for daycare and boarding clients. Baths include shampoo/conditioner, nail trim, ear cleaning, and blow drying.